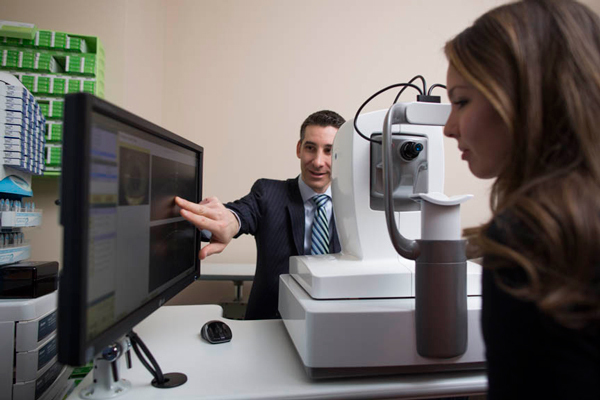 Dr. Sonsino studied at the New England College of Optometry in Boston, where he graduated with research honors. He had the opportunity to spend time at and complete a research poster at the Massachusetts Eye and Ear Infirmary, Harvard Medical School. Afterward, he completed a highly competitive one-year residency in cornea and contact lenses at Illinois College of Optometry. In Chicago, he worked mainly with the optometrist and ophthalmologists at the prestigious, University of Chicago Medical Center seeing patients with severe corneal diseases. One highlight of his experience there was super-gluing a patient’s cornea closed to save his vision. 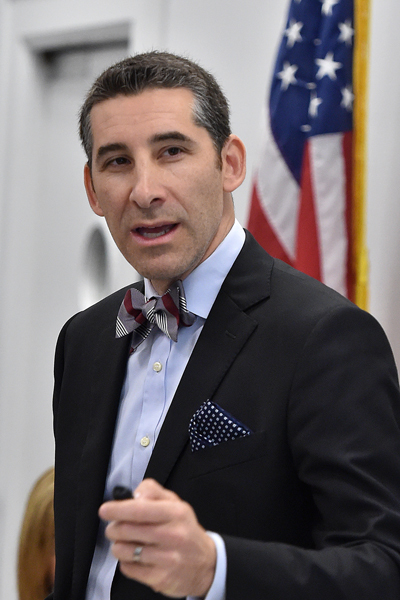 After residency, he became faculty at the Vanderbilt University Medical Center Eye Institute for 12 years where he lectured around the world, wrote 10 patents on novel ophthalmic devices, authored papers, and became the director of the optometry service. The experience he gained there was the foundation that advanced his standing nationally. A diplomate in the American Academy of Optometry’s Cornea and Contact Lens Section. This five year process where the candidate is judged on clinical skills by the top clinicians and researcher in the field is widely regarded as the highest clinical designation in the field of optometry. Past chairman of the American Optometric Association’s Contact Lens and Cornea Section, a board that sets national policy on contact lenses and is the voice of patients on contact lens issues. A board member of the Alliance for Patient Safety, a powerful national advocacy group formed to protect patients interests against unscrupulous companies who are concerned only about generating income. A founding member of the Society of Eye Care Specialists, a group of the top contact lens practices in the US who meet quarterly to discuss the latest advancements in the field and how they may benefit patients. An advisory board member to over nine companies in eyecare, medical devices, pharmaceuticals, and contact lens companies. These relationships often give him access to technologies not available yet on the market. An active researcher, completing over 15 clinical studies at Optique, often asking his patients to participate. An active lecturer who has been an invited speaker and presenter at every major optometry meeting, both live and virtual. The president of the Middle Tennessee Optometric Physician Society. Management of Complex Eye Problems such as Keratoconus, post-surgical complications and eyes that have had trauma. Dr. Sonsino spends most of his patient care time designing contact lenses for patients with corneal conditions, dry eye, and surgical complications. He has access to many customized lenses that are not available in other practices in the US. This includes custom soft lenses all the way to custom molded scleral lenses. Dr. Sonsino’s practice is one of three practices in the world who have been granted the ability to customize hybrid lenses- meaning that the hybrid manufacturer will produce lenses for us with powers or curvatures that are not available to other practitoners. Dr. Sonsino is also the number one account nationally for a new, custom molded scleral lens that is the top technology scleral lens in existence. When new technology becomes viable, Dr. Sonsino has either tested it in clinical studies or evaluated it with his patients before it is brought to market.